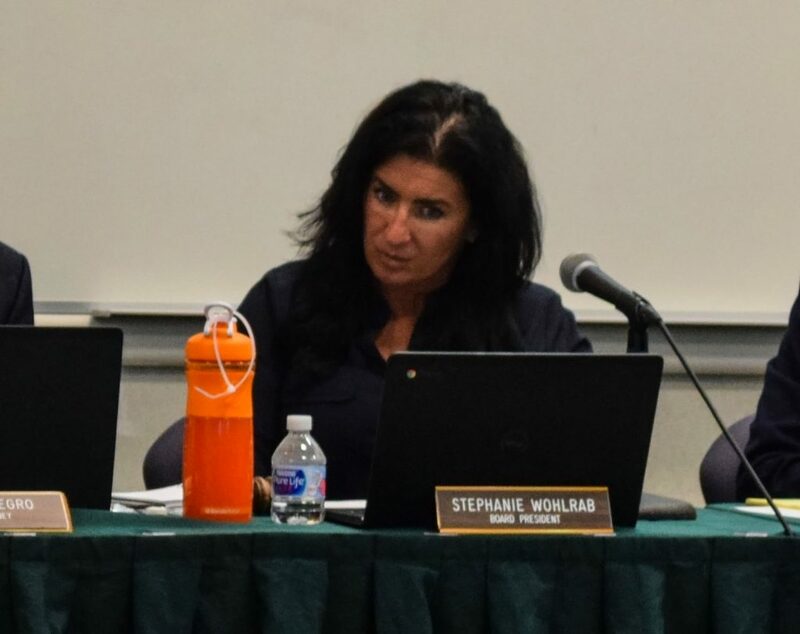 The president of the Brick Township Board of Education, who is seeking re-election next week, shut down a controversial Super PAC she ran less than three weeks after the Federal Election Commission sent her a letter asking for additional information on “consulting fees” she paid to herself. The letter from the FEC was sent Sept. 27. On Oct. 17, Wohlrab filed paperwork with the FEC to shut down the Super PAC, called “America’s Urban Future.” The same day the Super PAC was shut down, Wohlrab filed amendments to previous disclosure forms she filed with the federal agency. The FEC formally accepted the termination of the PAC on Thursday, Nov. 1. The existence of America’s Urban Future came to light following an investigation conducted by Shorebeat in August. Federal, state and local documentation showed the primary contributor to the Super PAC was Fairview Associates, the Brick Township school district’s insurance broker. Wohlrab voted to award a contract to Fairview at a school board meeting in February. Wohlrab did not respond to a request for comment for this story. Shorebeat sought a copy of her response to the FEC’s request and a description of her consulting work and why she decided to shut down the Super PAC. Experts said it is not uncommon for the treasurers or founders of Super PACs to pay themselves a salary, however the fact that an elected official was in charge of America’s Urban Future muddies the waters. There was no statement or description of the expenditure, as requested by the FEC, beyond the three-word description. In the Super PAC’s termination report, filed Oct. 17, Wohlrab listed $31,173.95 in receipts for 2018. The PAC was closed with a zero balance. The final expenditure was a donation of $2.928.95 to New Jersey Camp for the Blind in Rockaway Township. In the prior quarter, Wohlrab paid herself $6,000 for “consulting fees” on May 11 and June 11, 2018. Another $16,000 was paid to Arkady Inc., a political consulting firm in North Jersey that has generated its own controversy over monetary disclosures. Wohlrab, in addition to her role as an elected member of the Board of Education, is a professional campaign fundraiser for Democrats statewide, having served as finance director for the campaigns of U.S. Sen. Bob Menendez, Newark Mayor Ras Baraka as well as finance chair of the Democratic State Committee and Senate Majority Office. In Aug. 2017, while a member of the board, Wohlrab registered America’s Urban Future. Since proliferating following the 2010 SpeechNow v. FEC ruling by the U.S Court of Appeals for the District of Columbia, Super PACs were legally authorized to raise and disburse unlimited funds as long as they do not coordinate directly with political campaigns. Throughout its tenure, America’s Urban Future has appeared to disburse funds it raised from political contributors only to Wohlrab herself, Arkady, a firm named Alfonso and Alfonso (for a rent payment) and the donation to the camp for blind children. PACs often spring up and shut down without warning, experts say. “It’s not uncommon for PACs to be formed and shut down in the same [election] cycle,” said Mayersohn. Wohlrab is a member of a three-person ticket aligned with the Democratic party running for seats on the Brick Township Board of Education next Tuesday. Wohlrab and Victoria Pakala are incumbents while the third member of the ticket, Nicole Siebert, is a newcomer. The ticket is being opposed by a Republican-backed ticket of Robert Canfield and Edward X. Young. Young, an actor, was also the subject of a controversy this week regarding his acting roles. An additional candidate, Joseph Aulisi, announced this week that he was running a last-minute write-in campaign.